Welcome to 30 Days of Painting. Every day this month I’ll be putting brush to canvas in order to get more comfortable illustrating my stories for myself and my family. 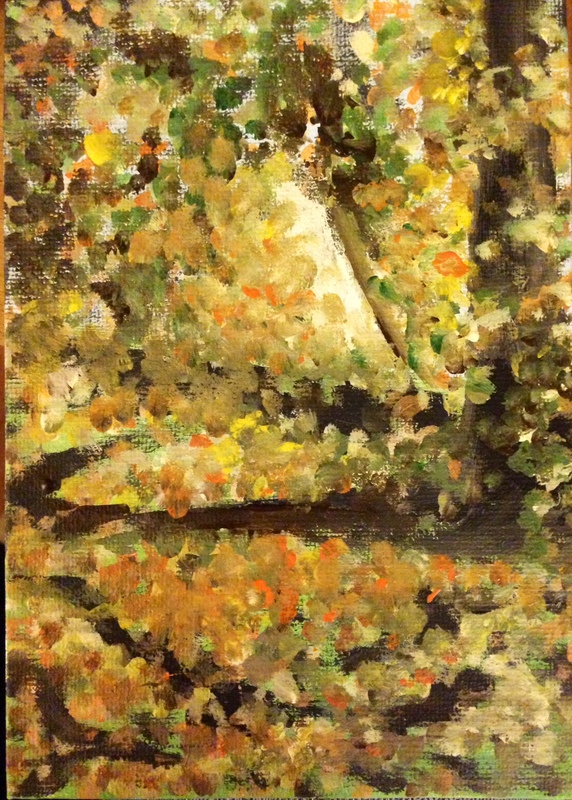 I decided to continue yesterday’s turn toward the abstract by attempting a Monet-inspired fall scene. When the leaves turn bright colors and whirl through the air, I always feel a little like I’m in a painting, so it seemed like a good fit. It was a lot of fun to do, and I like how it came out. I also did a second one with a bit more clarity, but I prefer the more mysterious look of the first. 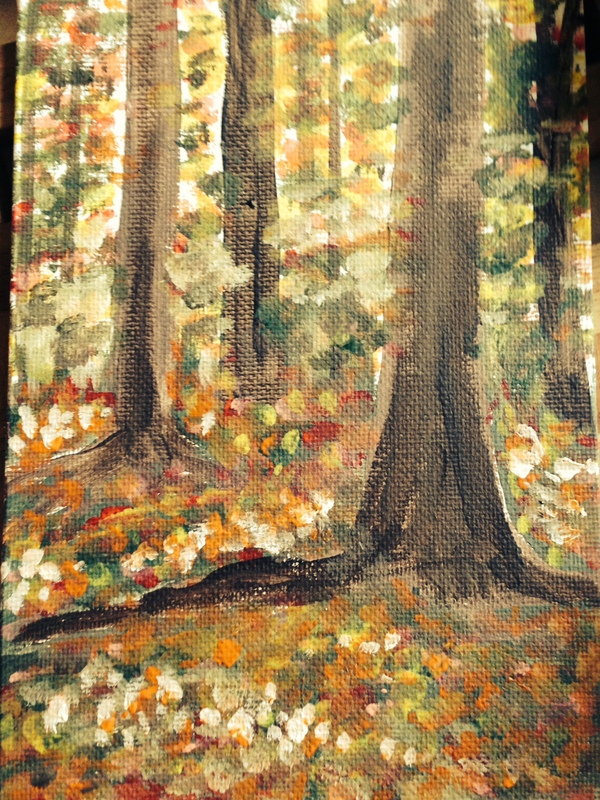 I would even say something Monet-ish about this one. Well done.